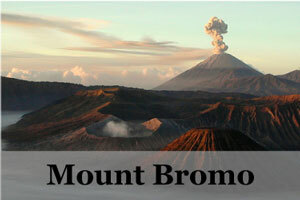 The island of Sumatra, located to the west of Java, is home to rich landscapes, blustering volcanoes, and unique culture that makes it a fascinating if under-visited stop on the tourist trail. The tourism infrastructure is more basic in Sumatra than other areas, but for those who make the journey, a trip across this diverse island is a rewarding experience, and some of the highlights include tropical islands, limpid crater lakes, enchanting wildlife, and bustling cities, to name but a few. 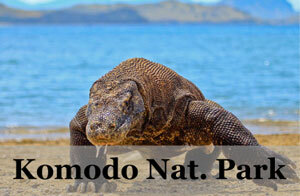 Here we take a look at the Top 10 Places to Visit in Sumatra. 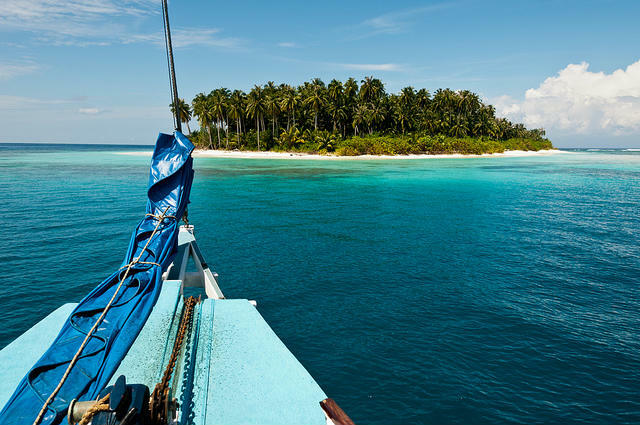 Just off the coast of West Sumatra lie a cluster of volcanic islands that make up the Mentawai Islands, a hidden gem perfect for those who want some surf and sand that is firmly off the beaten track. 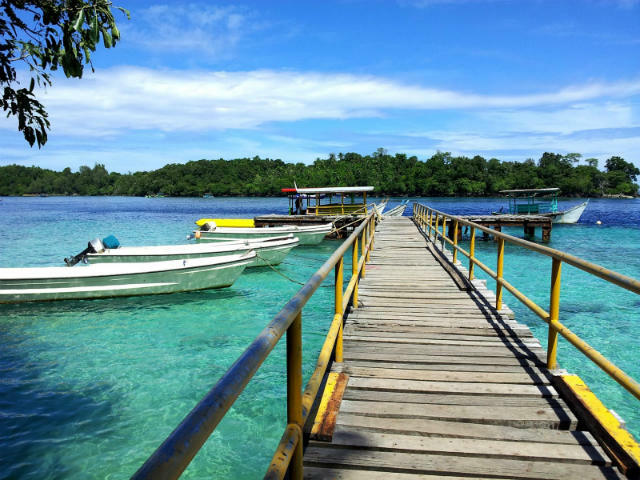 Travel here is not too arduous if you take a ferry from Padang to the largest of the islands, Siberut, and from there you can venture on to smaller islands that boast better surf breaks like Pulau Sipora. The largest city in Sumatra, Medan is often maligned as a tourist spot and only used as an entry and exit point for the nearby Lake Toba and Bukit Lawang, although to miss Medan altogether is to miss a trick. Internationally it may not be well known, but within Indonesia is it considered one of the country’s premium foodie destinations, particularly in neighboring Java, and visitors flock here just to eat and drink their way around the city. If you are using Medan is your main entry point on to other things in Indonesia, then at least make sure to sample some of its culinary delights before you leave, such Soto Medan, a spicy coconut milk based soup often eaten for breakfast and Mie Aceh, curried fried noodles. 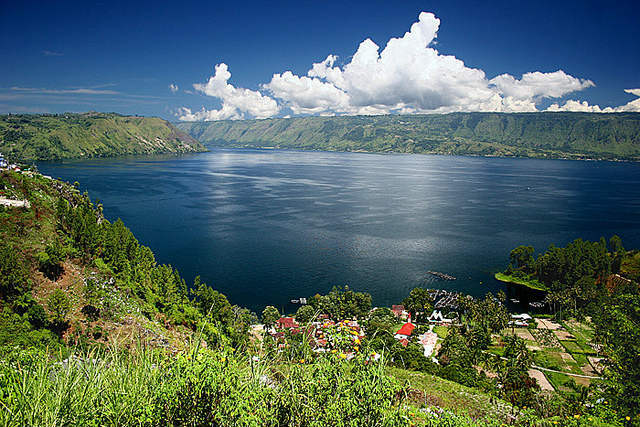 As you move around North Sumatra, one of premium attractions here is Lake Toba, which has the claim to fame of being the largest crater lake in the world, having been formed by a massive eruption of a now dormant volcano, or, if you believe the local legend, by a magic fish. 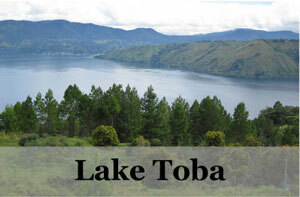 Lake Toba is known for being the home of the Batak, one of the main indigenous groups in Sumatra, and the tombs of Batak kings of old as well as traditional Batak style houses can all be visited at Lake Toba. Padang is yet another place in Sumatra that is raved about by domestic travelers and largely ignored by international tourists. One of the main reasons that foreign tourists go to Padang is to move on to other places like the Mentawai Islands, and so the city has a wide range of accommodation options and facilities, but the biggest draw here is the food. Widely touted as the best food in the whole of Indonesia (a lofty claim in a county with over 17,000 islands) Padang food comes in the form of the ubiquitous Nasi Padang, a range of small plates of vegetables, curries, and accompaniments like tofu or tempe (compressed soybeans) served with rice. 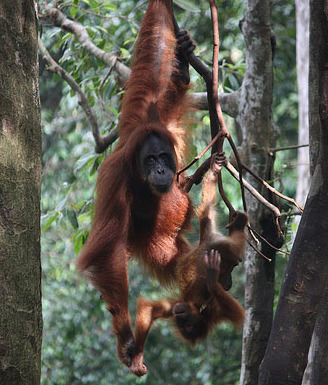 To the north of Medan, you will find Bukit Lawang, most well known for its Orang Utan sanctuary that aims to rehabilitate these precious primates and reintroduce them into the wild. Bukit Lawang lies at the beginning of Gunung Leuser National Park, a protected area of jungle that stretches up into Aceh Province and due to its unspoilt charms it’s is a great place to go trekking and check out some of the local flora and fauna. Pulau Weh is arguably one of the most beautiful islands in Indonesia, but unfortunately, most visitors never make the trip up there to find out. Located off the coast of Aceh Province, Pulau Weh has some of the best diving and snorkeling in Indonesia and is thankfully far less crowded than other beach locations, while still having just enough visitors to ensure that tourists will be well catered for. The capital of Aceh Province, Banda Aceh has sadly become synonymous with the devastating tsunami of 2004, although a trip here also offers a glimpse into a very different way of life to the rest of Indonesia. The Tsunami Museum, in particular, is an extremely moving experience, and the majestic Grand Mosque is an example of the beauty of Islamic architecture and is also well worth a visit to learn more about this conservative corner of the country. As Aceh is also famous for its coffee, visitors shouldn’t miss a trip to one of Banda Aceh’s most famous coffee shops, Warung Kopi Solong. 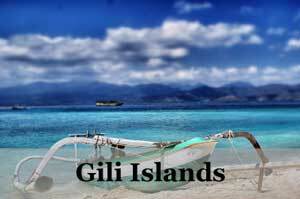 Bali may claim it has the best surfing in Indonesia but Nias has a well-established surf scene for those in the know. The island of Nias is perfect for those looking to get away from the crowds at Kuta, and there is just the right mix of facilities like guesthouses with a serene and unhurried atmosphere that is often lost in frenetic Bali. Aside from the surfing, Nias has some amazing local rituals such as stone jumping. The best thing about Bukittinggi may not be the city itself, but actually, the areas that surround it, and in particular the gorgeous Lake Maninjau that ripples with clear emerald waters and is firmly off the tourist trail. Located in West Sumatra, Bukittinggi is home to the Minangkabau, the indigenous people of the area, so it’s also a great place to find sweeping unique Minangkabau architecture and learn more about this matriarchal society. 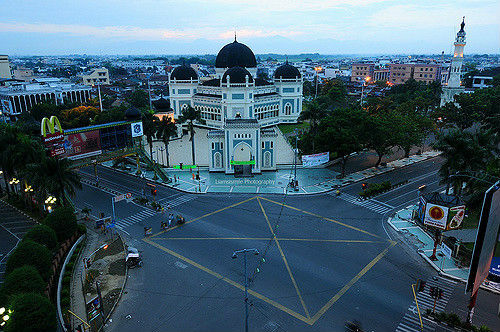 The capital of South Sumatra, Palembang’s claim to fame is that it is one of the oldest cities of Indonesia, as well as being the center of the Srivijaya Kingdom in the days of yore. What makes Palembang a worthy stop in Sumatra is its status as a port town and its position on the Musi River. Many of the city’s main attractions are located along the river, and there are also quaint floating restaurants on local wooden boats that serve some of the best food in Palembang. Even though still under the radar of the tourists of Indonesia, Sumatra has a lot of interesting tourist attractions to offer. 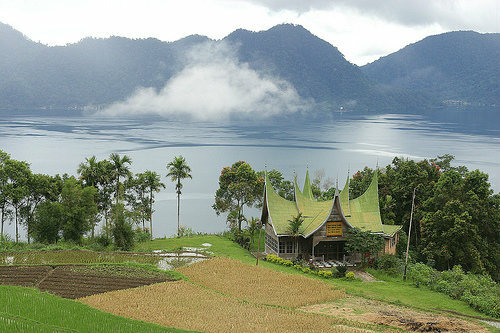 Do you have another must visit place in Sumatra? 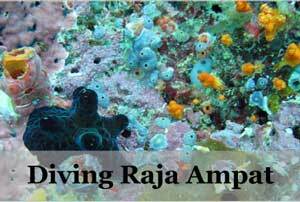 Share with us so that we can learn more about what Sumatra has to offer. Just stumbled across your notes while researching a possible family trip to Sumatra. Can you point me towards a reputable company that will take care of a family with a 10 and 7 year old please? 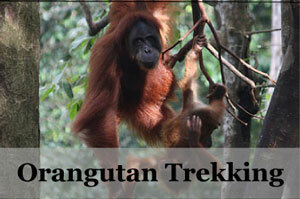 Yes, so many other great places in Sumatra! You definitely need to check out the Kerinci Seblat National Park – Sumatra’s largest – and the beautiful Kerinci valley. 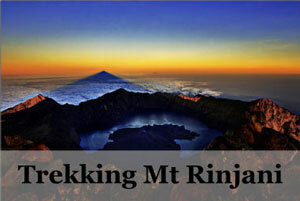 Not only does it have the largest tracks of rainforest on the island, it has the highest volcano (Mt. Kerinci), the highest caldera lake (Danau Gunung Tujuh), the largest amount of tigers, and a host of other incredible wildlife. The valley outside the National Park has endless rice paddies, cinnamon forests, and idyllic little villages sprinkled throughout. It’s a huge area with tons to see and do. 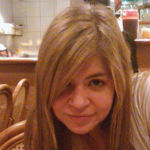 For Craig, I would think British expat and primate scientist Andrea, who runs Greenhills Guesthouse in Bukit Lawang (http://www.greenhillbukitlawang.com/) would be a good resource for you.